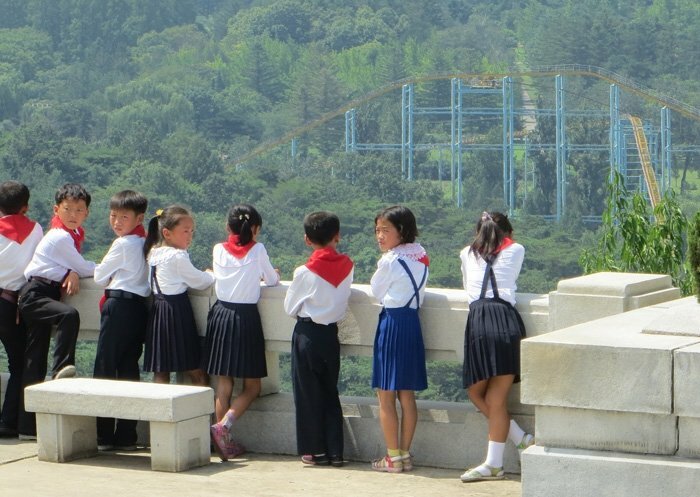 With only 5,000 tourists visiting North Korea a year, and even less foreign journalists, so much of what we hear about this reclusive country is speculation and hearsay. 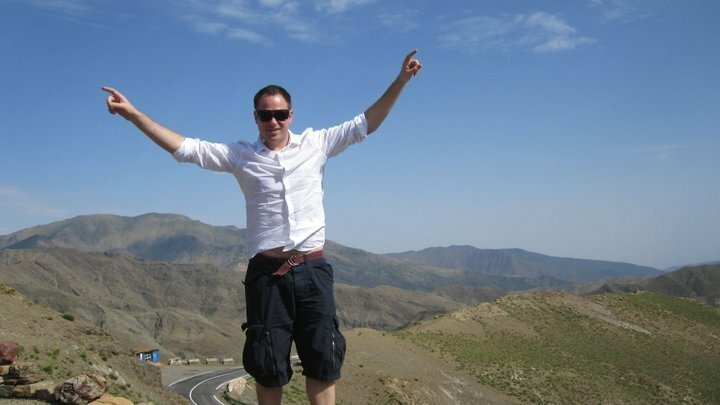 So what is it really like to visit North Korea and what are some of the most surprising aspects of life there? 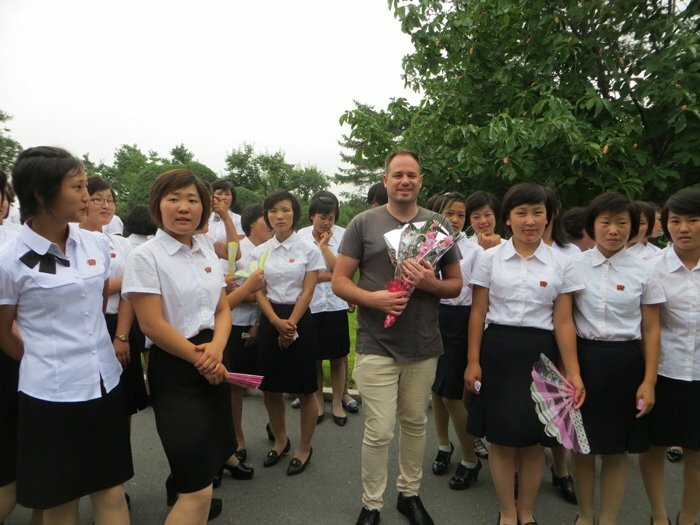 Here are my Top 9 surprising North Korean facts from a my recent visit. YOU MIGHT ALSO LIKE: Flying Air Koryo – North Korean Airlines. As tourists we were taken to great restaurants for every meal and to my surprise the food was great. Firstly you will have to like Korean food, otherwise your choices are going to be limited, there’s very little chance of a pizza or burger around here. But we were fed with more food than we could eat and it was of high standard. Personal favourites of mine included, the duck BBQ. 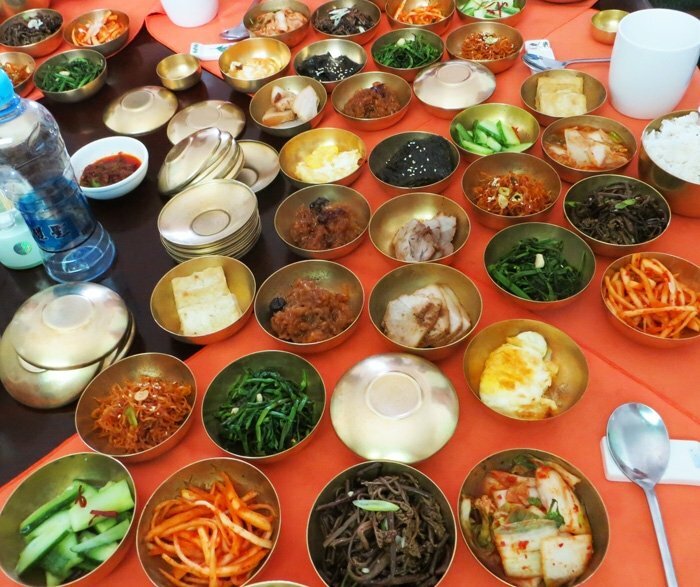 Pork hot pot, and meals of comprised dozens of Banchan served in gold bowels. 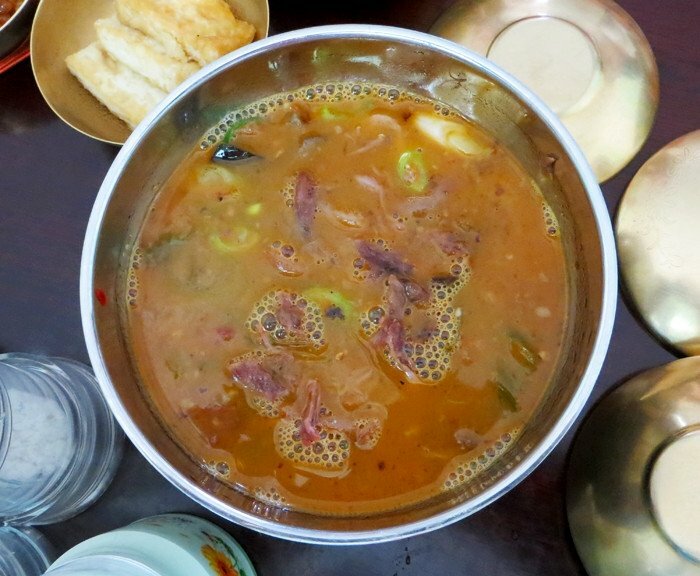 The tastiest of all was the Pyongyang Cold Noodles (Mul Naengmyun). This summertime dish consists of buckwheat noodles, meat broth, vegetables, but the part that really makes it kick is the vinegar and mustard they add at the end before you stir it all up at the table. Despite the name, it’s a dish that should be widely available Korean restaurants around the world, I urge you to give it a try. Dog Soup! Yes it exists and is considered a delicacy. We were given the opportunity to try and here is one of our tour mates giving it a go. Scared about accidentally finding dog in your food over there? Do not worry, it is much more expensive than other meat and is a treat that’s reserved for special occasions. They will not be wasting it / mixing it with other meat if no one has ordered it. It would be a bit like accidentally finding caviar in your two minute noodles. Not going to happen. Like their cousins in the South. 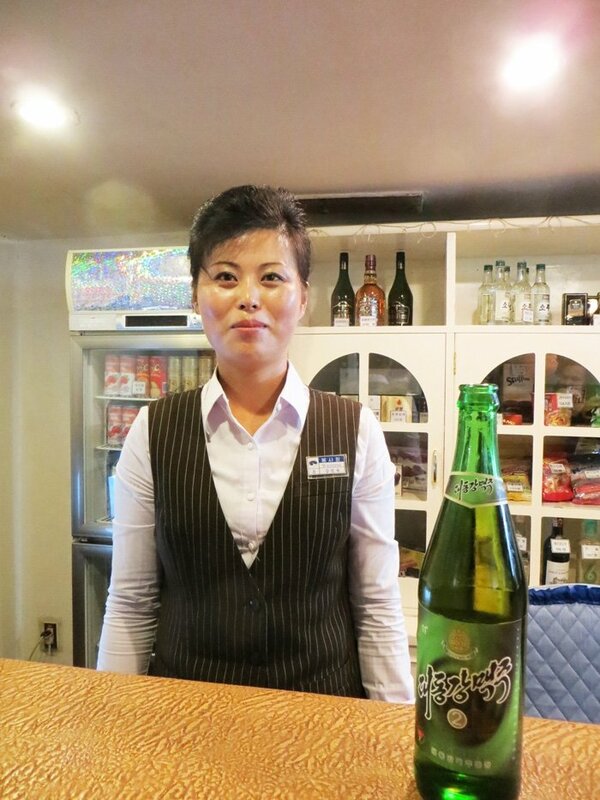 The North Koreans are heavy beer drinkers and love nothing more than drinking their evenings away (probably because there isn’t much else to do). There is a thriving microbrewery culture in North Korea and you can find vats brewing in the most random of places, such as the local bowling alley (Pyongyang Golden Bowl), restaurants, hotels and of course the actual craft breweries themselves. We experienced the microbrewery the best at “Taedonggang Craft Brewery” a microbrewery that brews small batches of their main beer – Taedonggang. This beer is great to begin with when purchased from a bottle, but it tastes even better when fresh from the tap. They also have some exclusive recipes only available in the craft brewery. What else is great about this place? The French fries – trust me on this one! 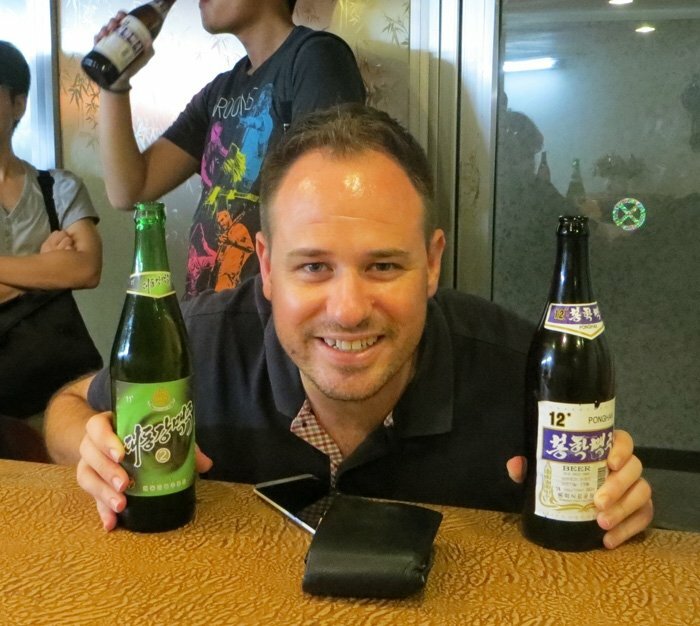 If you are drinking beer, but aren’t lucky enough to be in a microbrewery, than you are like going to be drinking bottled Taedonggang or Ponghak beers. 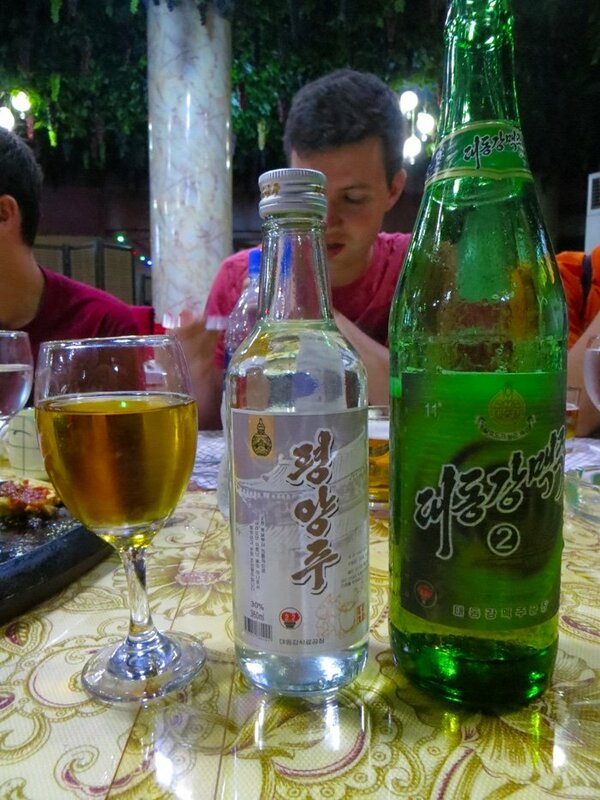 Taedonggang#2 is actually a very lovely full bodied larger, and is the preferred option of North Koreans (and myself). This one tastes similar to your Bavarian lagers like Hoffbrau and Paulaner – clean, crisp and very refreshing. Your other choice is the Ponghak 12° in the blue label. 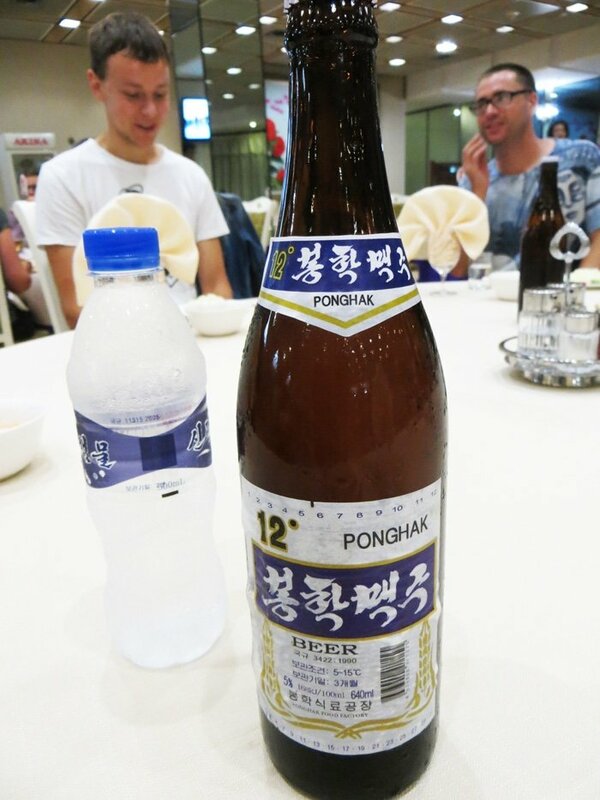 Ponghak has a distinctive rice and malty flavour similar to American beers such as Budweiser or Miller (only without tasting like water). One thing to note the green one is double the price of the blue one. But when we are talking bar prices of €1 vs €2 for a 600ml bottle, I don’t think you will mind too much. 3. Foreigners can’t use North Korean money. I don’t exactly know what the reason for this is, but I suspect it’s so they can charge foreigners at higher rates. Just don’t expect to be flush with North Korean Won in your pocket. Instead everywhere you’ll visit as a tourist will accept Chinese RMB, Euro’s or US$. Given the proximity to China you’re change will probably be given in RMB no matter what currency you have. Although strangely I returned with a handful of Euro coins despite not bringing in any Euro’s. There is one exception to this rule. Department stores take local currency and have a little booth set up so you can exchange it. Ironically most tourists will exchange currency just to get the local currency back as a souvenir and not spend it. Be warned if you do this – you are not permitted to take North Korean currency out of the country, so if you do make sure you hide it well, as the border guards will be looking for it. 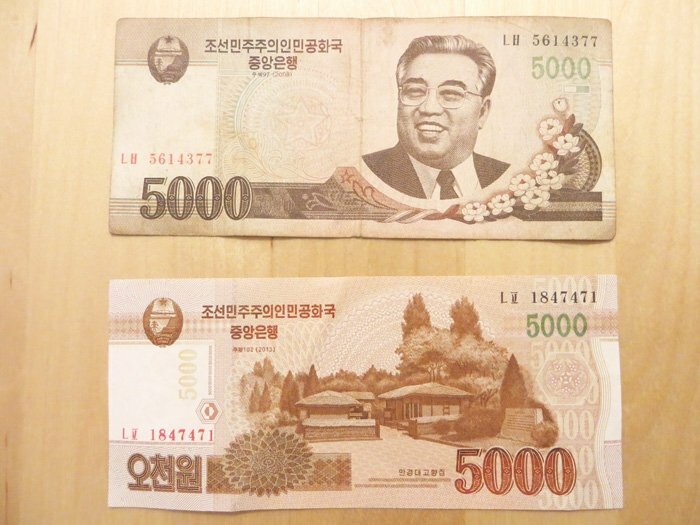 Old and new 5,000 Won notes. The new design has Kim Il Sung removed. This is because they were getting old, worn and folded. 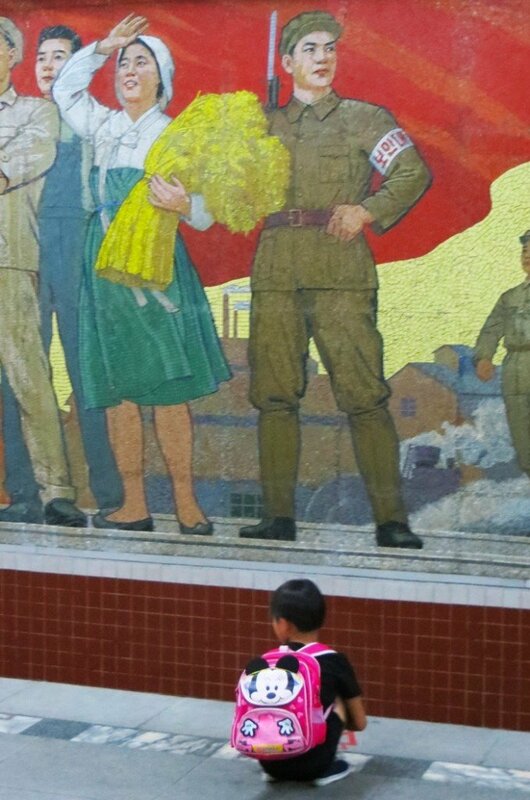 It is prohibited for images for Kim Il Sung to be damaged or soiled. WEIRD FACT: The coins are made of aluminium, and feel cheaper than Monopoly money. The North Koreans we met, both in the hospitality industry and the ones we met in public either on the subway, train or library were generally pretty friendly and loved to tell jokes. Our tour guide knew a cracker that involved Bill Clinton, the Pope and the Virgin Mary (I’ll leave it to your imagination how that ends). She didn’t mind dropping the odd bit of Aussie slang over the coach microphone, Examples included “You guys were shitfaced last night” and “Who needs to use the dunny?” The conflicting part of this was, is that they refused to smile in photos or when being filmed. Waitress #8 loved to interact with joke with foreigners. But as soon as the camera comes out, so does her serious face. It appears they are highly encouraged to present a very stern image of themselves when it is being recorded, but as soon as the camera’s are gone their guard goes down. Unless you live in Orlando, you’re probably lucky if your city has 1 amusement park / fun fair. Well would you believe that Pyongyang has 6?! Driving around the city we would always see these roller coasters and ferris wheels. I would ask if we were close to where we saw the last roller coaster, but the answer would always be that this was a different one. 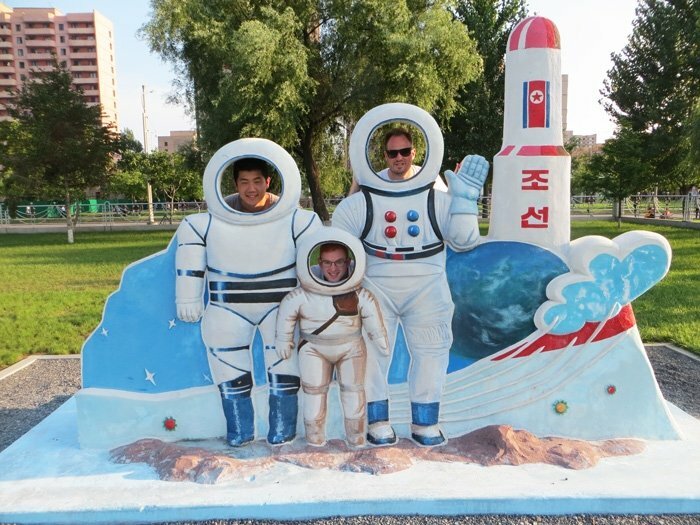 Summers are hot in Pyongyang, so why not cool off at the waterpark? This one here has been opened since 2013 and has a dozen waterslides, including some very cool halfpipe style ones. 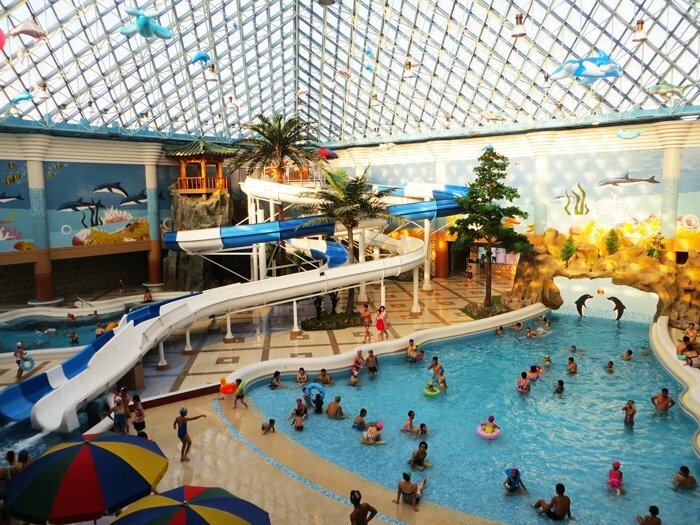 The winters are cold, so half of the waterpark is indoors! 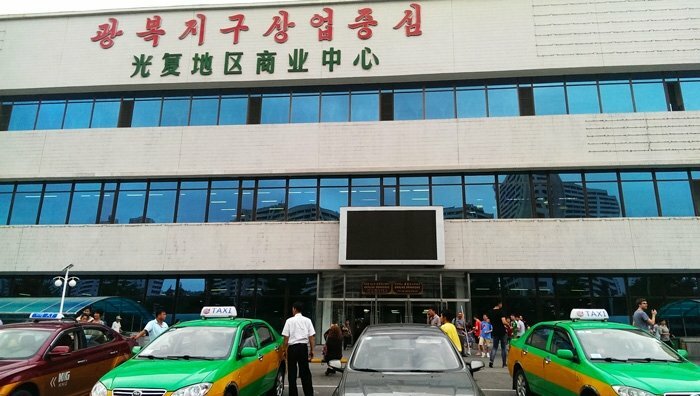 You will also find an indoor rock-climbing wall, massive billiards room (where people seem to enjoy playing pool in their speedos) and it’s also one of the best spots n Pyongyang to get a haircut and old style cut-throat shave. 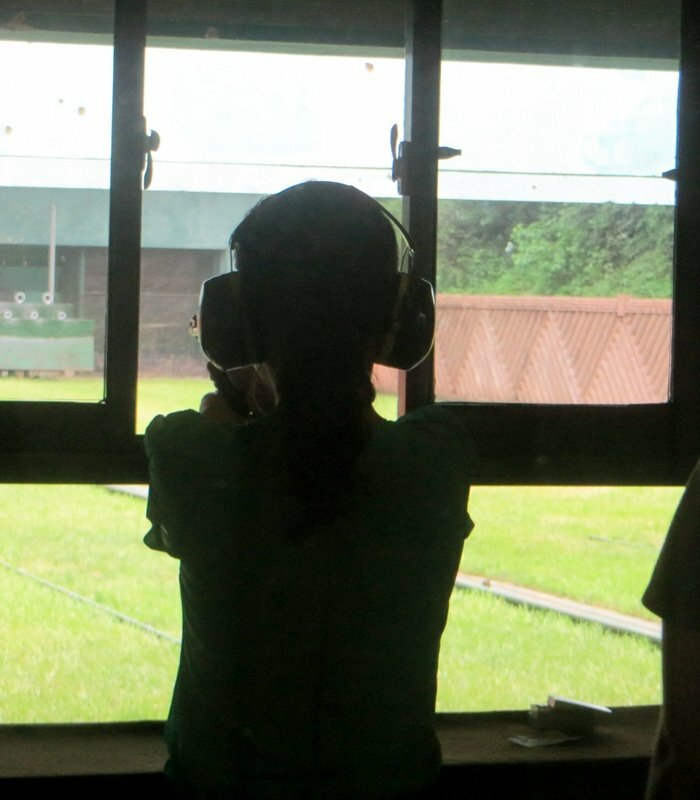 If you’re still bored after all this excitement why not check out the shooting range where you can fire off some of the biggest guns this side of the old Iron Curtain including the legendary AK47. If you’re not satisfied with shooting at a paper target, then splash out €5 and shoot a real live pheasant! 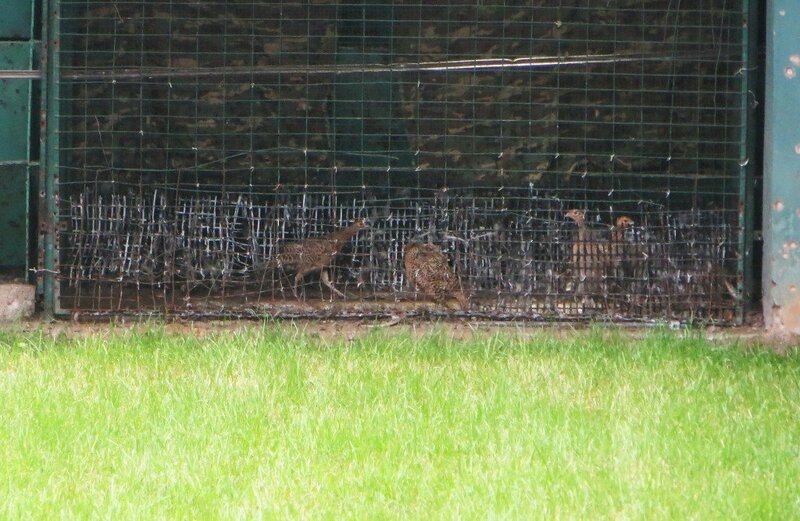 They are confined to a small cage so it should be no problem to hit one. Once dead ,the shooting gallery staff will collect it and package it up so you can take it to a restaurant and enjoy it for your dinner. North Koreans love their mobile phones and can be seen chatting on them or sending text messages just as you would expect in other cities. The phones I saw looked to be either Chinese made “dumb-phones” or newer smartphones that were unbranded Android devices. These smart phones however aren’t that smart as they are not connected to the Internet. The only apps on these phones are pre-loaded and include a Korean dictionary and one of the first ever smart phone games that involves throwing scrunched up paper into a bin with a fan on a desk blowing the paper off-course. They do like to take photos with their smart phones though, but they aren’t uploading to Facebook or anything like that. Instead they will share via Bluetooth when meeting friends. As a foreigner you can access the 3G network with a North Korean SIM. This is something most people avoid though with the cost to register rumoured to be around €200 – And that’s before you occur any usage costs. We visited the working man’s department store and supermarket and in reality it was just like visiting any of department store (in the 1970s!). The bottom floor is contains a supermarket with a mixture of locally produced and Chinese products. Apologies for the lack of images. Photos were not allowed inside. The local stuff tended to be things like fresh produce, including frozen whole chicken with the head and feet still attached. chips and sweets. The Chinese stuff tended to be personal care items like toothpaste, nappies and shampoo. 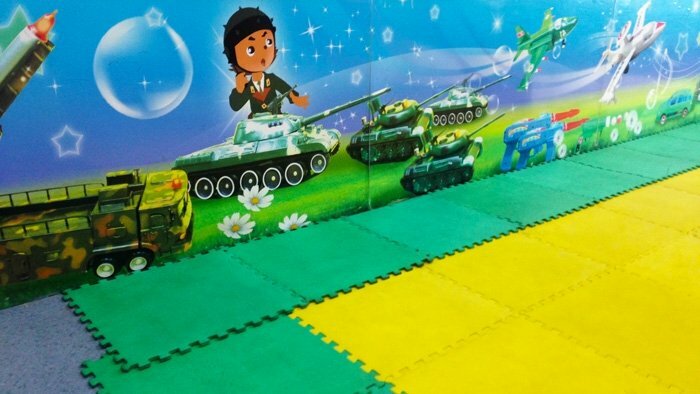 Take a step up to level 2 and you’ll find the clothing department (also stuck in the 1970’s), and the children’s playground with this disturbing mural on the wall. Things for sale here that you won’t find in your typical department store included toilets, canoes, solar panels and diesel generators. Feeling hungry? Head up to the food court on level 3. Which also has some private dining booths with a great view of the main road (actually not such a great view). If you have done much reading on North Korea, than this probably won’t be much of a surprise to you. 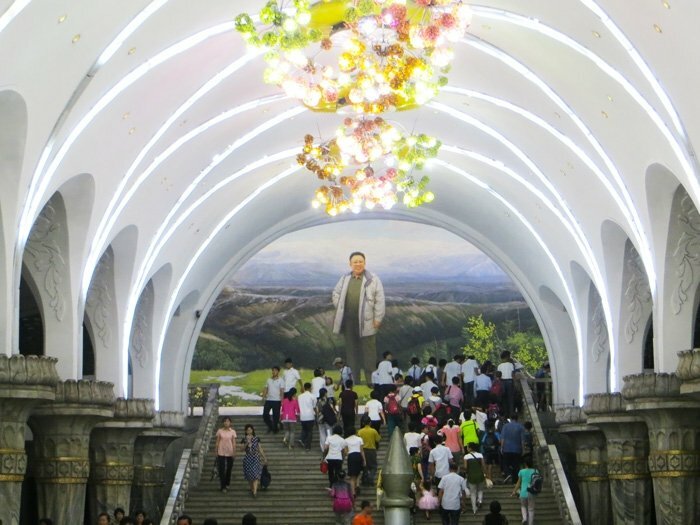 But for the rest of you, welcome to the Pyongyang Subway system. The deepest and probably the grandest in the world. We travelled 3 stations and got off at each station for a look around. All were adorned with detailed and provoking propaganda mosaics, charming background music, newspapers and of course plenty of statues and tributes to all the “great leaders”. 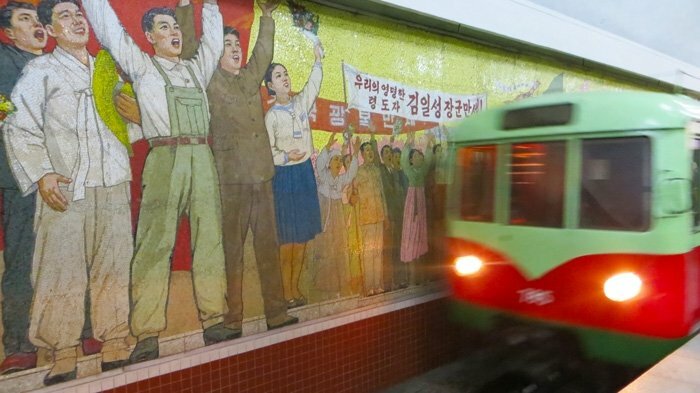 I’ll be writing about this in more detail shortly as a trip on the Pyongyang subway is such a fascinating experience. 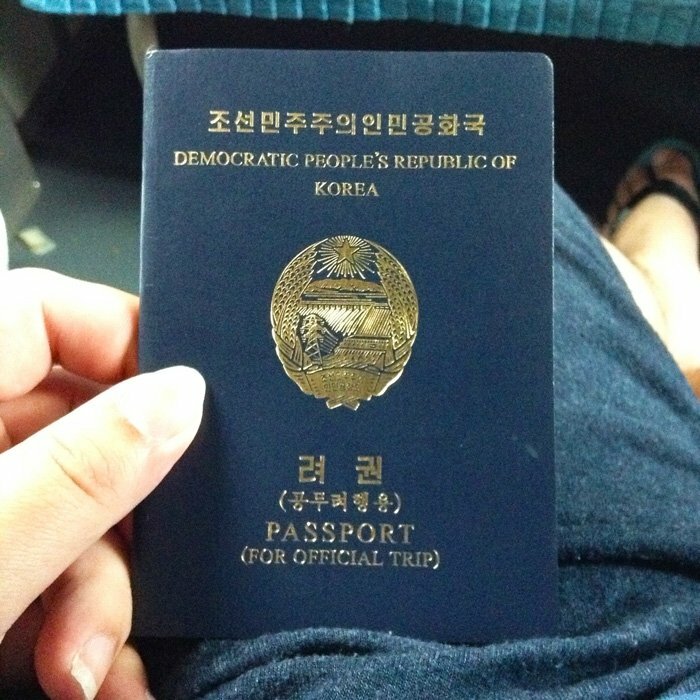 This is a North Korean passport belonging to a student whom we met on the train out to China, and he was not alone The train was packed with students and also families heading to China after spending summer in back home in North Korea. 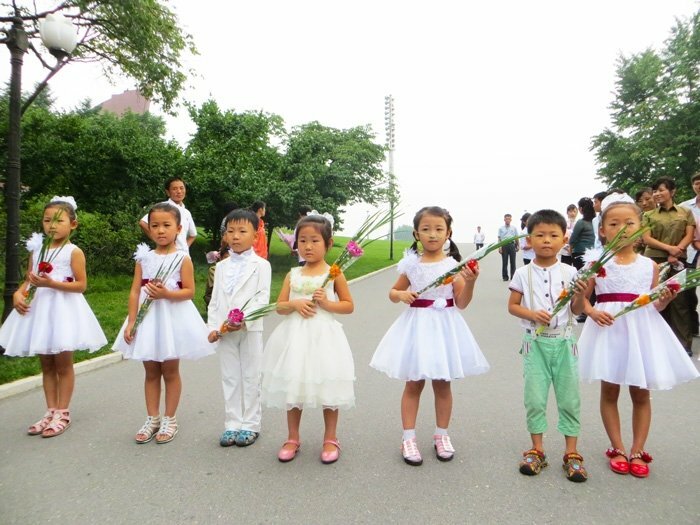 I will clarify that these aren’t your typical North Koreans. One had an Armani wallet, while others were wearing Real Madrid jerseys or Mickey Mouse tops. They spoke great English and knew all about the outside world. So North Korea is not as closed off as you may have been led to believe. I was also surprised to learn that there are North Korean ethnic communities around the world, particularly Malaysia where many work as construction workers. So there you have it. 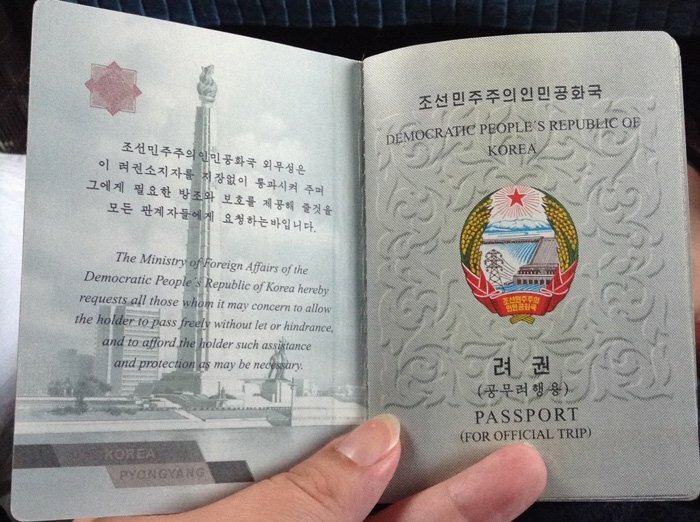 9 surprises that I wasn’t expecting to see when visiting North Korea. For me, the biggest was the food. I was expecting to eat mushed up cardboard with flavouring for a week. So how about you? Did anything here surprise you? Leave a comment below. 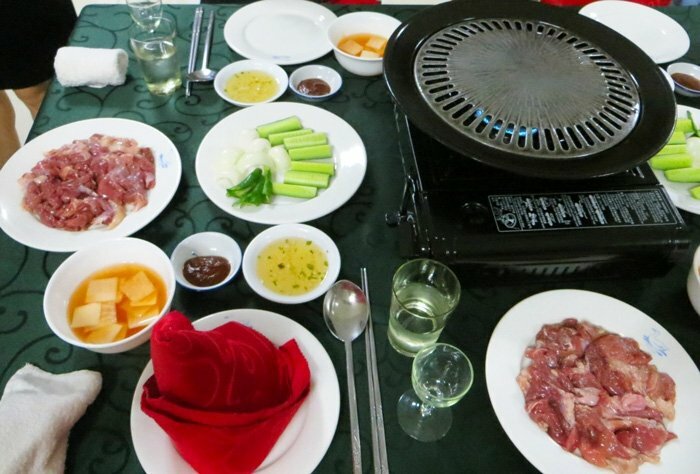 This entry was posted in Asia, Travel and tagged Asia, culture, north korea, travel. Bookmark the permalink.